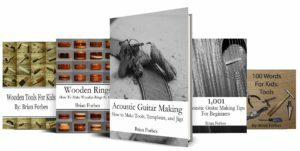 It’s that time of the year and I have been very busy in the shop with projects. 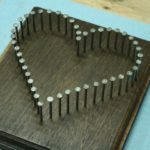 I just finished a wooden sign for my wife that she wanted for our stockings, Today, I am going to share how to make one yourself. This is a similar process to the DIY Established Sign, and you can make something like this very quickly. A simple sign like this can be decorated however you like, and hung on a wall or stood on a shelf. You can use any species you like for your wooden sign, but I recommend something inexpensive. If you are planning on painting the sign, the most gorgeous piece of wood in the world will never be seen. 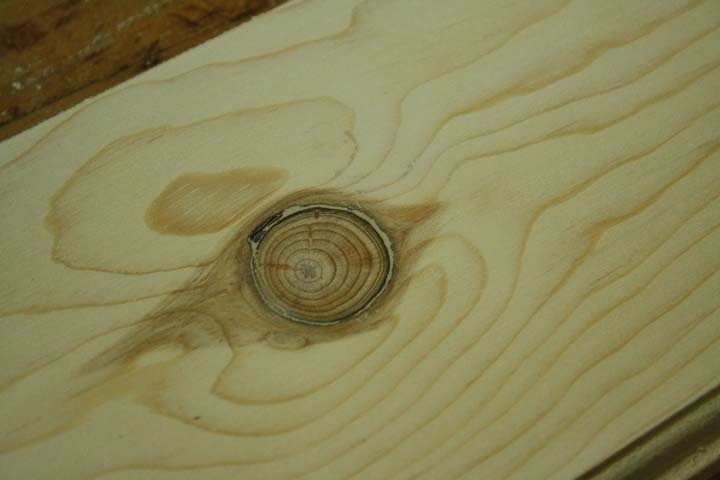 In this case, I used Pine, which came from a hardware store. I also bought the red paint, which was in an aerosol can. When you paint a sign like this, an aerosol can is perfect. It will allow you to lay down several thin coats, and the nicer brands cover really well. 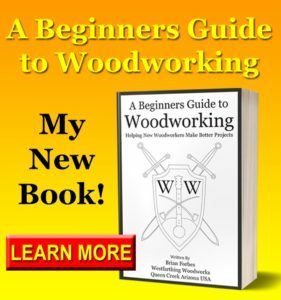 Cut a piece of wood that measures 5-1/2 inches by 20 inches. You can do this on any saw that you have available. I cut my board to width on the table saw, and then to length on the miter saw. If you cut the wooden sign piece by hand, go back and sand the edges so that they are nice and smooth. They do not have to be perfect, just even. If it takes you an extra second, it’s worth the time. When you select your board, do not worry about knots or dings. All of these can be sanded out or filled prior to finishing. The beauty of painting the wood is that you will not see the knots once the paint is applied. In order to give the sign a more polished look, you need to do something to all four edges to make them look finished. 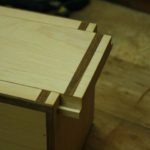 There are a number of things you can do by hand if you do not have a router or a router table in the shop. First, you can sand them aggressively to round them all over. If you are going for a slightly rustic look, then make sure that you sand some areas more than others. This will leave the piece with natural looking variations. 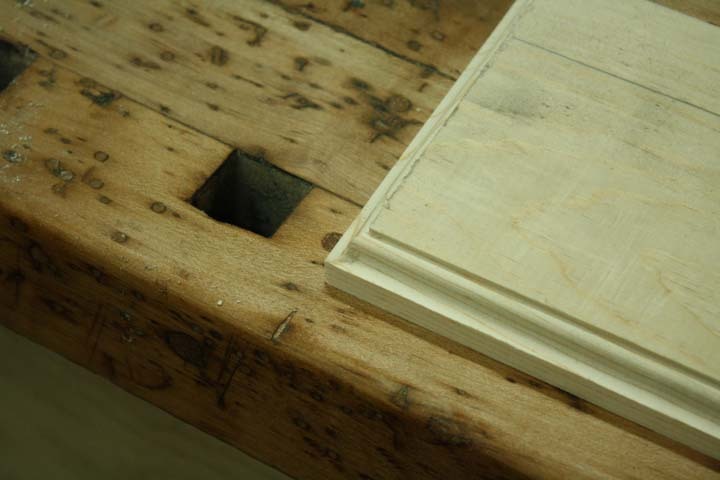 You could also bevel the edge with a file or a sanding block. However, a router opens up a whole set of new options for you. There are many router bits to choose from, but I prefer the Ogee style bit. This adds a simple but elegant looking border, and it goes well with almost any wooden sign. The trick with using the router table is to take shallow passes. Many times beginners try to take out the entire pattern in one pass. 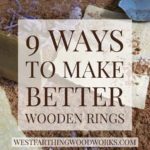 This is very difficult to do, and can result in too much wood being taken out. 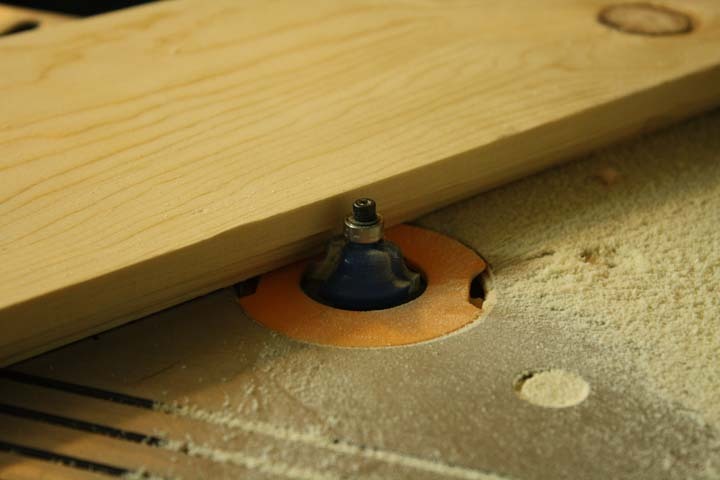 Make sure to take several passes on the router table, taking a little more off each time. Also, keep the piece moving as you contact the cutter. If you stay still for too long, you can burn the wood. 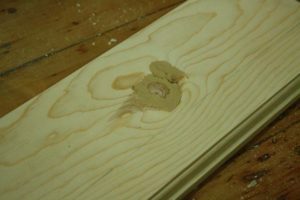 If you want a completely smooth finish, then you are going to need to sand the piece and fill any defects that are too deep to sand out. Sand the piece first, taking care to remove as many defects as you can. Make sure to break any sharp edges, and slightly round the corners too. As you are sanding, make a note of any deep holes or dings that need filling. In the case of my sign, both knots had cracks around them. This would show up after painting, so I used a wood filler product to conceal them. 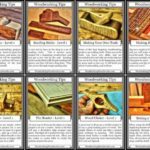 It’s an easy process that I describe in my How to Use Wood Filler article. Once you have applied your filler, and it has dried and hardened, it can be sanded level. 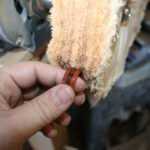 This is best done with a sanding block to keep the surface flush. You can see the lighter colored halo around the exterior of the knot. This is where the filler sealed the crack around the knot. Now that the excess filler has been sanded away from the surface, it’s completely smooth. Painting a surface with defects will always leave a bumpy or irregular look. If the differences are very small, several layers of paint can even them out. However, a hole or large crack will nearly always require filling to make it disappear. These wooden signs can be painted, stained, left natural, or anything in between. In this case, my wife asked that I paint it a Christmas looking red color before she added the lettering. Buy a middle to higher end spray, and apply several light coats to the surface. When you use thin coats, they dry faster, and you can coat again sooner. This also helps block out the wood coloring from the surface faster. Plus, light coats mean less of a chance that you will get a run or a drip to worry about. Allow the piece to dry in between coats, and keep on spraying layers until the red color is opaque. Finally, allow the piece to dry several hours or overnight before moving on to the lettering. My wife has a Silhouette Cameo machine, which cuts shapes from adhesive backed vinyl. They are not terribly expensive for what they do, and they are very popular with crafters. For this sign, she designed a few snowflakes of different sizes around the lettering that reads “The Stockings Were Hung…” She used the Silhouette to cut out the design, and then used clear contact paper to transfer it to the wooden sign. Once the adhesive backed vinyl is transferred, it’s just a matter of smoothing out the individual pieces. 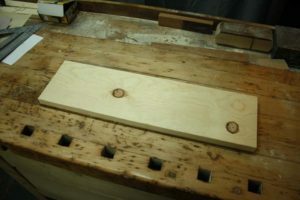 You can also coat the whole thing with lacquer to seal everything in place, but that step is optional. I make a ton of wooden signs for gifts, decorations in my home, and even to sell. They are very easy once you get the process down, and they sell well too. I have heard of several crafters that were able to recover the cost of their Silhouette machines very quickly by selling projects they made. I am very happy that my wife has one of them, and that we get to combine our two hobbies once in a while. 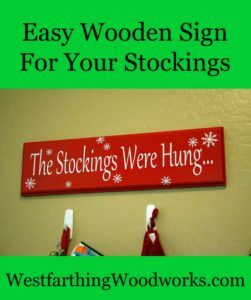 If you have any questions on DIY Wooden Sign – The Stockings Were Hung, please leave a comment and I will be glad to answer them. Also, please share my work with your friends on Pinterest! Happy building.